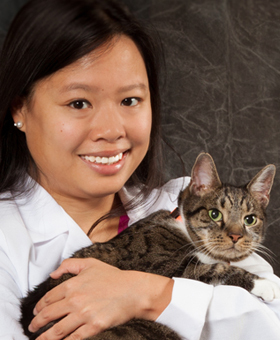 Dr. Bena Tan is originally from Singapore and received her Bachelor’s degree in Veterinary Science from the University of Melbourne in 2010. 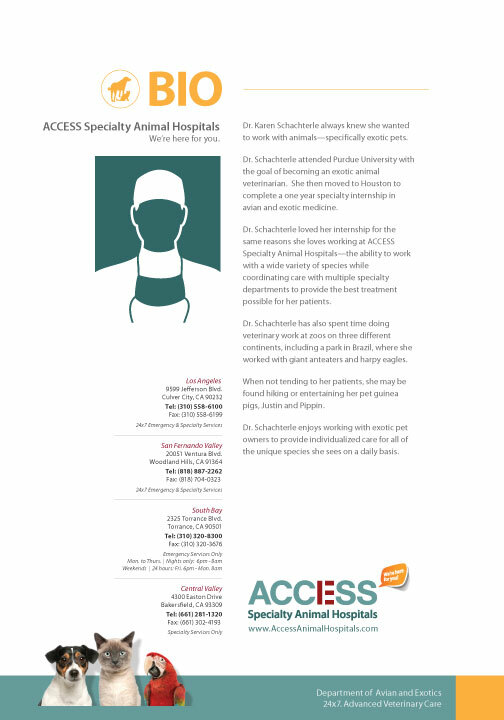 She then completed a small animal rotating internship at an emergency referral center in Connecticut, followed by a specialty internship in internal medicine and critical care at the Center for Veterinary Specialty Care in Texas. 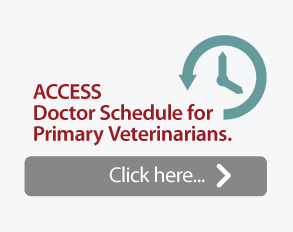 Bena completed her internal medicine residency with Affiliated Veterinary Specialists in Florida prior to joining ACCESS in August 2016. 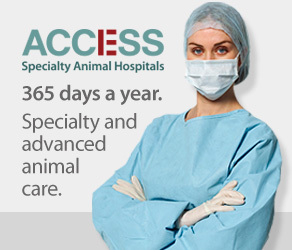 Her special interests include feline medicine, gastroenterology, and endocrinology. 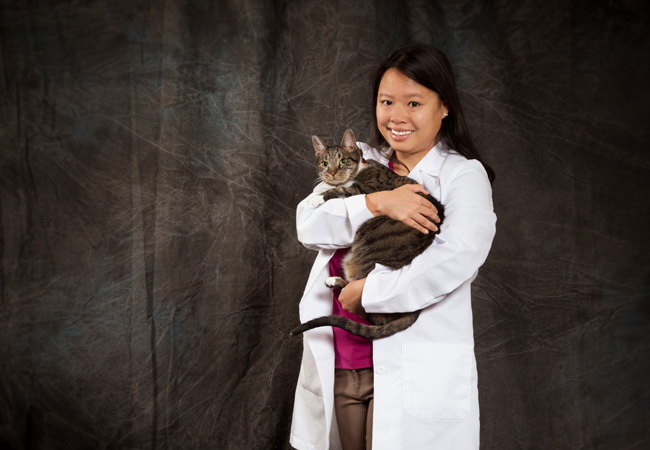 Bena enjoys doing endoscopy and feeding tube placement and can fluently speak Mandarin. Outside of the hospital, she enjoys traveling and is looking forward to discovering what the West Coast have to offer! Click on image to download Dr. Tan’s Bio.